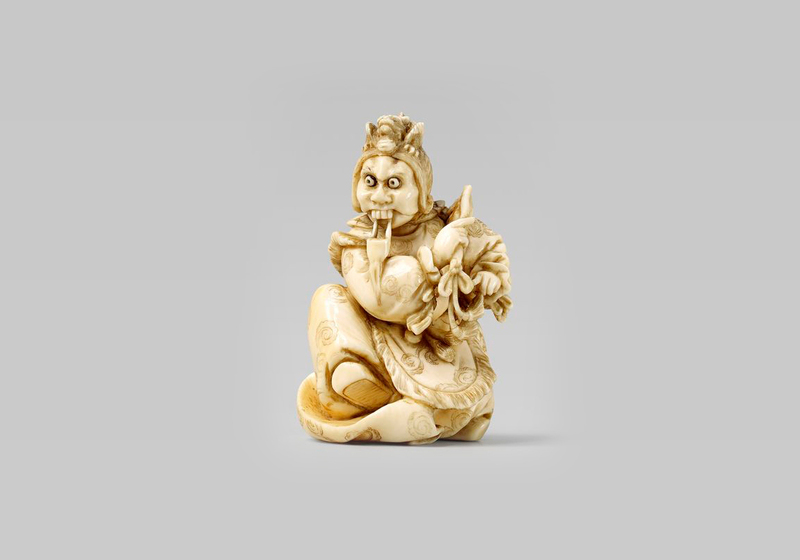 Netsuke are small miniature sculptures, invented in the 18th century in Japan. As traditional Japanese clothing did not have any pockets, the Netsuke were used to hang a small bag on the belt of the kimono to carry around personal belongings. The motives range from mythical figures and animals to everyday objects or scenes.